Please contact the mediator for fees. No deposit required if the mediator has previously worked with all involved law firms. Otherwise, a deposit will be required from all participating law firms/parties. The amount of the deposit depends on the location and complexity of the matter; a minimum of $1000 per side is required 14 days in advance of mediation. If the deposit exceeds the incurred fees, a refund will be provided within 14 days following conclusion of mediation. None. 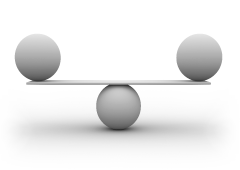 All mediation fees are shared equally between the parties unless otherwise confirmed in writing. No charge if the mediation is cancelled with 14 days advanced notice or rescheduled to another date. If the mediation is cancelled within 14 days prior to commencement (and not rescheduled) there is a $1000 cancellation fee. Charged to the parties, where reservation of a facility is required.